Indians love their Roti which is made of wheat flour. While this is healthy, we present an alternate and better option for Rotis made from Bajra and Jowar. Bajra Roti is rich in Fiber that makes you feel fuller for a longer time as the food takes more time to digest and not raise your blood sugar level too fast. That’s why it takes more time to eat a Bajra roti versus a whole wheat roti. Plus it has more Protein and Iron content which wich is what keep Anaemia at bay. 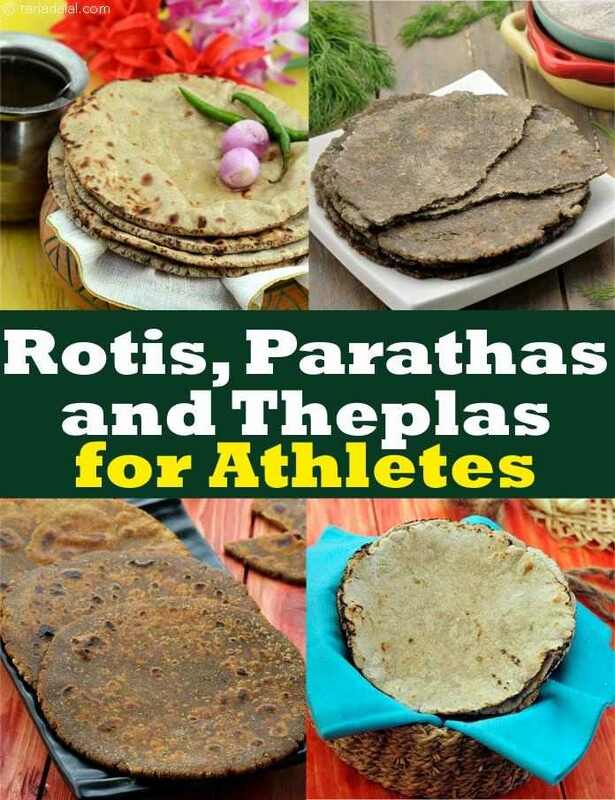 Variations to Bajra Roti are Bajra and Cauliflower Roti and Bajra Peas Roti. Jowar Roti is rich in Fiber and Protein which is a great source for Vegetarians. Being a complex carb and super food, jowar will not cause a spike in blood sugar levels and hence safe for Daibetics. We suggest you try our variation like Jowar Pyaz ki Roti and Jowar Bajra Garlic Roti. Buckwheat is another super food which is an Alkaline flour with lots of fiber. Our pick is Suva Buckwheat Roti.